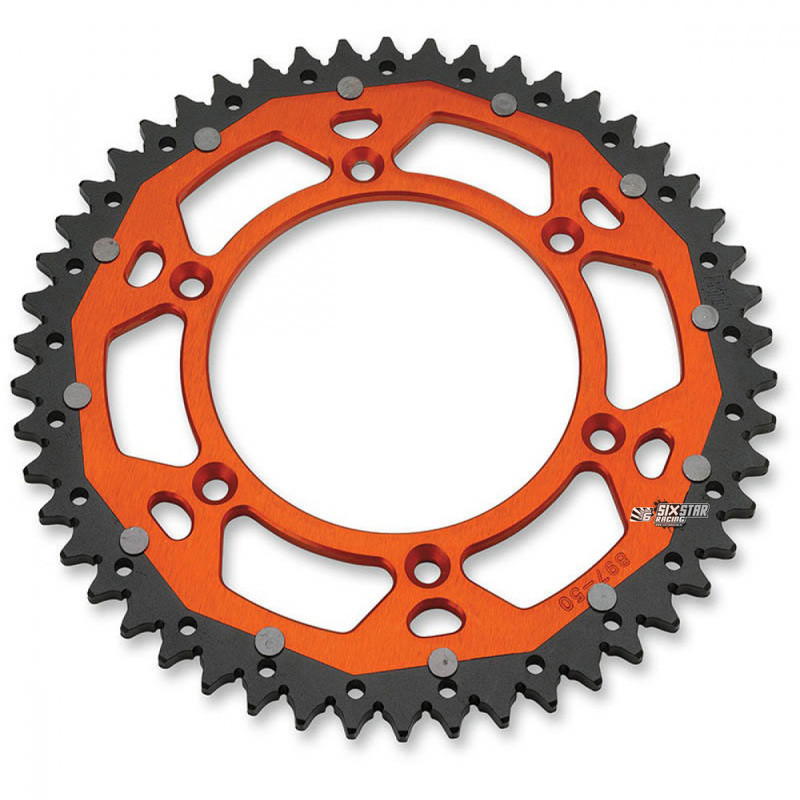 4MX Dual Steel/Aluminium sprockets are designed and tested at the highest level. Dual steel/aluminium sprockets also feature a hexagon drive interface between the inner and outer ring, this is revolutionary technology for sprockets and maximises drive between the two parts and reduces the force on the rivets to zero unlike the competition. Alu Colour anodised for that factory bike look.